Walt Disney Worlds third major park, Disney-MGM Studios Theme Park (now Disneys Hollywood Studios), opened May 1, 1989. Arguably its biggest—and certainly its longest—attraction was the Backstage Studio Tour. Over the years, its importance, popularity, and length diminished. 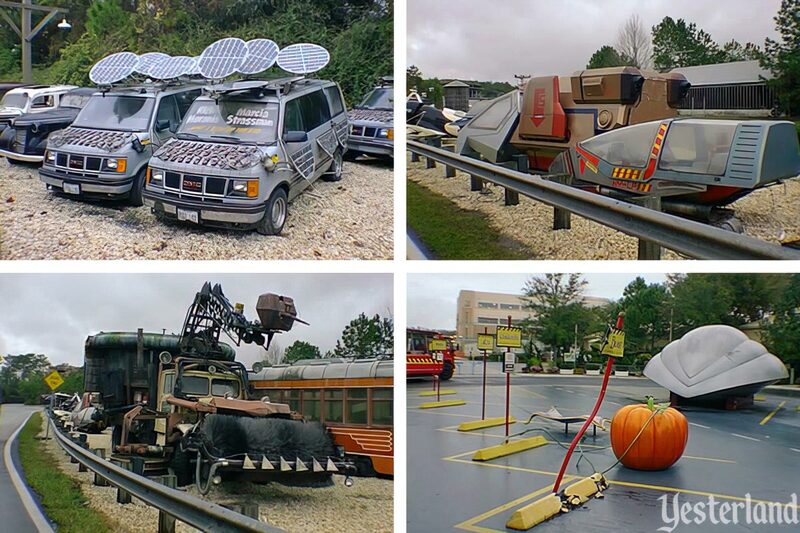 The final day of the attraction—called the Studio Backlot Tour in its most recent form—was September 27, 2014. Do you have two hours to spare? Then get in line for the original Backstage Studio Tour. As you wait to board the tram, open your Guide Book. Match the numbers on the map (above) to the numbers in the text that accompanies the map (below). 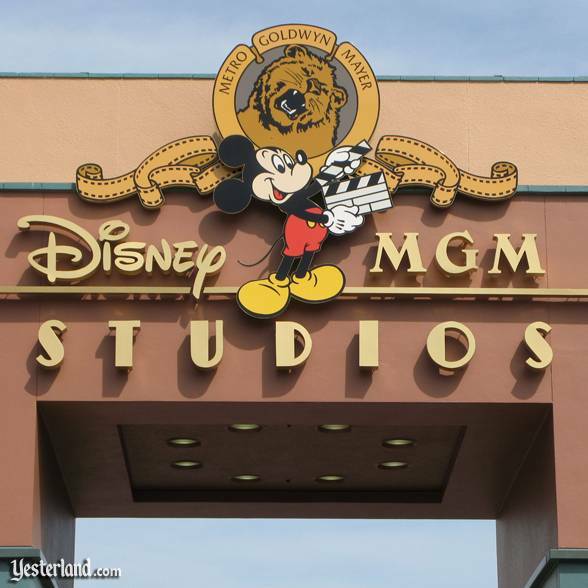 Step through the gate of the Disney-MGM Studios and enter a working movie and television Production Center. Your stay will include an in-depth look at live action movies and television, and a unique opportunity to visit Disney animators working on their newest featurettes. 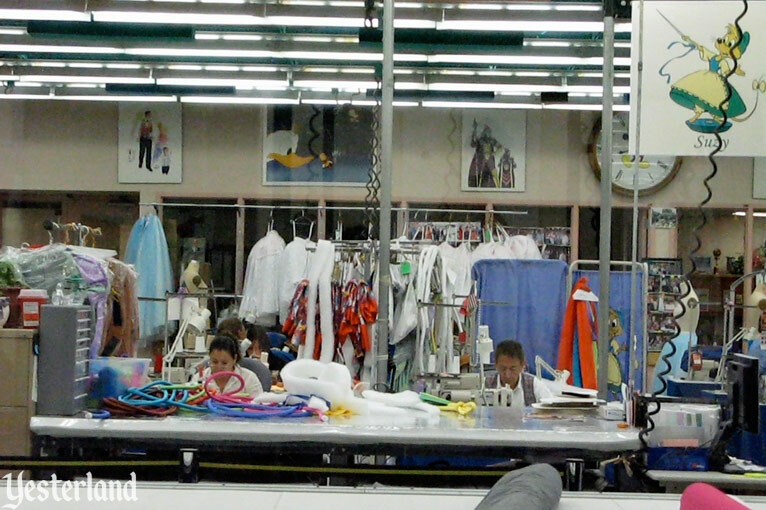 On the Backstage Studio Tour, a two-part adventure, you go behind the scenes of a real motion picture studio. Please Note: This 2-hour guided tour involves an hour of walking. Restroom facilities are available at the shuttle station before you embark on your journey and at the start of your walking tour. (1) The Backstage Shuttle Station is where your adventure begins. You’ll be introduced to the business of show business. (2) Costuming Where skilled designers create the clothes worn by your favorite stars. (3) Scenic Shop If it’s in the script, here’s where studio craftsmen will build it. (4) Residential Street Look closely at the “houses” on this outdoor set. 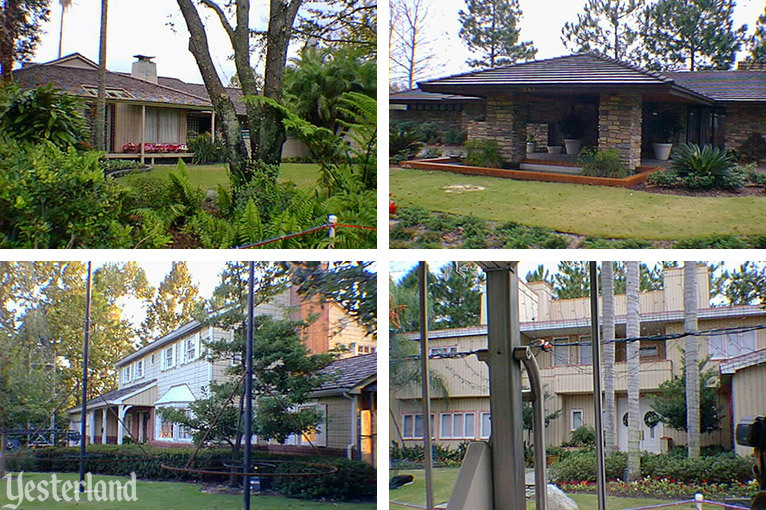 You may recognize the homes of famous movie and TV families. (5) Catastrophe Canyon A perilous journey through a unique outdoor set. 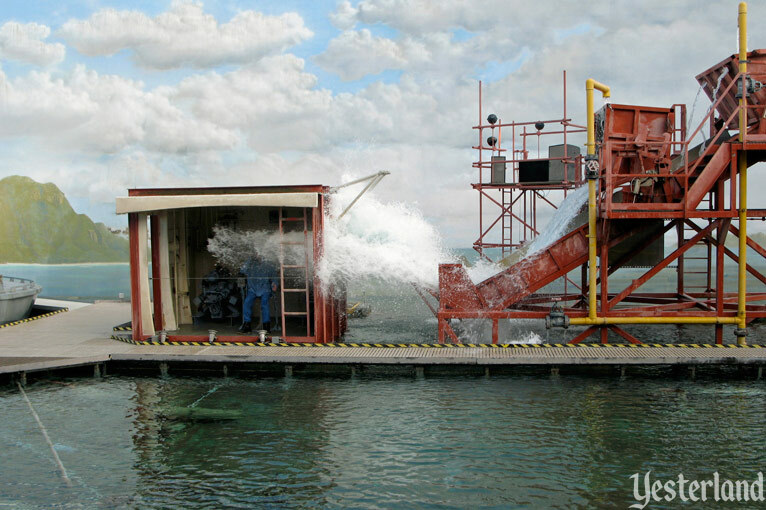 You’ll experience amazing artificial disasters that seem real enough in the movies, but even more impressive up close. (6) New York Street A giant backlot set used to film busy street scenes. Forced perspective “buildings” at the end of the street make these two blocks look like an entire cityscape. (7) Water Effects Tank You may be the star of a dramatic ocean storm scene. (8) Special Effects Workshop and Shooting Stage Explore the fascinating science of optical and mechanical effects. (9) Soundstages Specially designed stages let you look in on movies and television shows in production. Please Note: The use of cameras or recording devices of any kind Is prohibited inside soundstages. (10) Post Production Editing and Audio When principal photography is complete, the films come here, where editors, sound engineers and other technicians add the finishing touches. (11) The Walt Disney Theater The final stop on your adventure, where you’ll see special sneak previews of new movies. (12) Soundstage Restaurant Where dining is “Big Business.” Counter service dining offers pizza, pasta, sandwiches, soups and salads. (13) The Catwalk Bar Where beer, wine, cocktails and specialty drinks are served. (14) Studio Catering Co. On the Backstage Studio Tour. Refreshing fruit salads, ice cream snack items and beverages. (15) The Disney Studio Store Dazzle your friends with The Walt Disney Studios and Touchstone Pictures clothing and accessories. (16) The Loony Bin On the Backstage Studio Tour, Unique gag gifts, plush toys and loony souvenirs. (17) On the Backstage Studio Tour you’ll have a zany photo opportoonity with favorite cartoon stars. Yikes! That’s a long attraction. It’s a good thing there are restrooms at the halfway point. Disney-MGM Studios—built to be both a theme park and an actual production studio—opened to the public on May 1, 1989. The Backstage Studio Tour was the park’s major attraction. 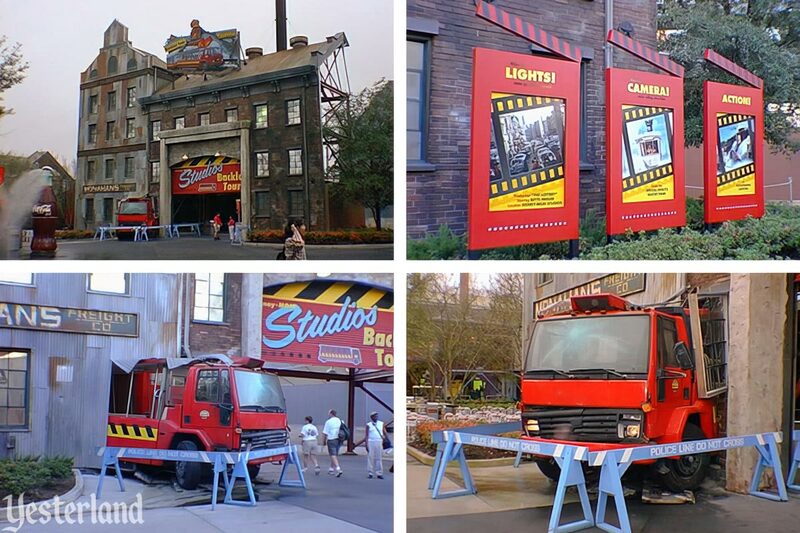 The Backstage Studio Tour first segment transports you by tram behind the scenes of a set, where you’ll see the The Golden Girls’ house, a New York City street and skyline before you endure an earthquake, fire, explosions, monsoons and other near-disasters. The second segment is on foot, to special-effects areas (complete with a battle at sea), editing rooms and sound stages. Before the end of 1989, guests were allowed to walk on New York Street. The two-hour tour quickly became shorter. The 1991 Guide Book listed the Backstage Studio Tour featuring Catastrophe Canyon as a “30-minute shuttle ride.” The walking portion was billed as a separate attraction, Inside the Magic: Special Effects and Production Tour. The walking tour limped along, with guests often looking down into empty soundstages. The Walt Disney Theatre, which originally showed a preview of the newest Disney movie as the final part of the walking tour, was transformed into a short-lived stage show, Here Come The Muppets, and then into the long-running live show, The Voyage of the Little Mermaid. In 1996, the Backstage Studio Tour was renamed the Studio Backlot Tour and its entrance moved to the far end of Mickey Avenue, where the walking tour had previously begun. 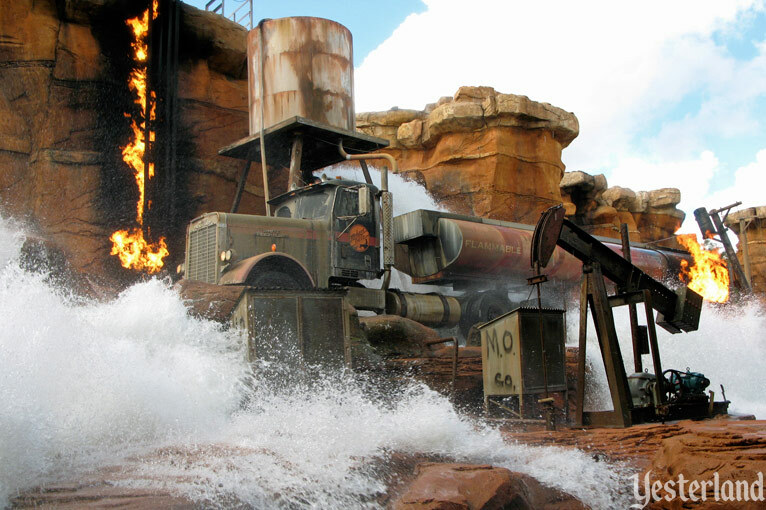 The water tank special effects stage became the opening act for the tram tour. The entrance to the walking tour moved next door. Inside the Magic was renamed Backstage Pass (often appended with a movie name, such as Backstage Pass to 101 Dalmatians). The television series Mortal Kombat: Conquest was filmed at Disney-MGM for its one-season run (1998 - 1999). 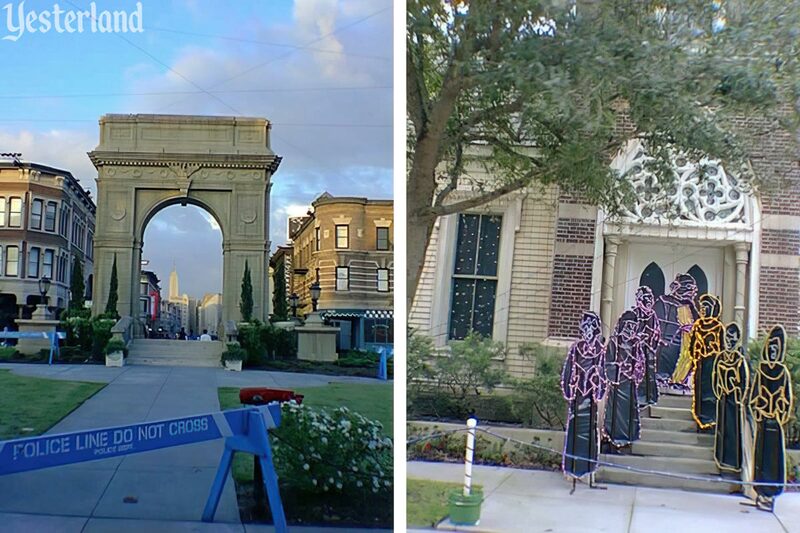 When the series was canceled, Disney bought the sets so that walking tour guests would have something to look at. In 2001, the Backstage Pass walking tour closed permanently. 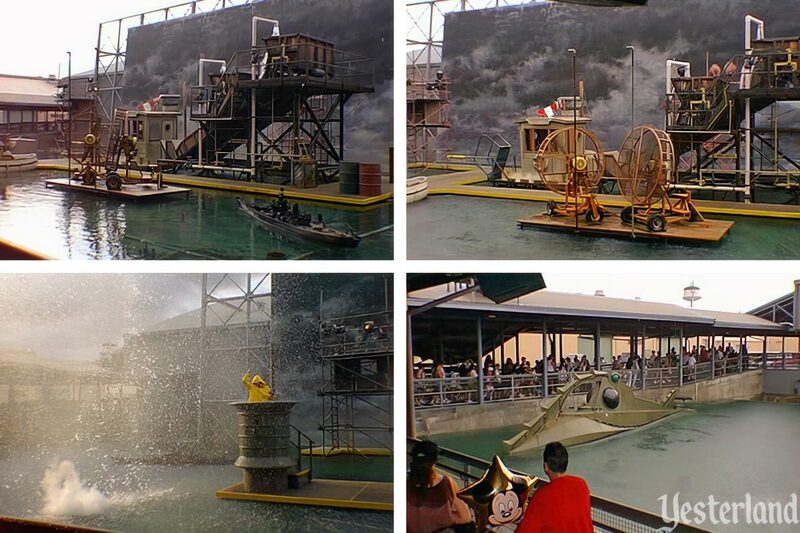 The Studio Backlot Tour began with a modified version of the water effects tank from the walking tour. Then, instead of continuing to the special effects workshop and soundstages, guests went through a prop warehouse and onto an abbreviated tram tour. The residential street was removed in 2003 to make way for the huge Lights, Motors, Action! Extreme Stunt Show, so the tram tour only had the costume department, scenic shop, Catastrophe Canyon, and miscellaneous boneyard props along the route. In it final years, the whole tour was just 35 minutes. Did you ever wonder why there is such an imposing studio gate at the entrance to the Animation Courtyard? It’s because it originally served as the entrance into the “movie studio” where the Backstage Studio Tour began. The idea was that you were leaving the public street (Hollywood Boulevard) and entering a movie studio complex. Real movie studios in Hollywood had entrance gates from city streets. The Magic of Disney Animation tour—featuring the film Back to Neverland (with Robin Williams and Walter Cronkite) and a working animation studio—had a modest entrance to the right of the Backstage Studio Tour. The Soundstage Restaurant contained sets from the 1988 Bette Midler comedy Big Business. On the second level of the Soundstage Restaurant, guests could drink at the Catwalk Bar, a full bar overlooking the sets. Nearby, the studio’s production facilities turned out movies and television shows, including The All New Mickey Mouse Club (or MMC). Guests on the walking tour might even see filming in progress. Gradually, the focus of the plaza inside the studio gate changed to animation. The Soundstage Restaurant was rethemed so the guests sat among “sets” from the animated Aladdin instead of the live-action Big Business. (Later, the former Soundstage Restaurant became the home of live shows based on Disney television programs for young children.) The former Catwalk Bar became a character greeting location. The Voyage of the Little Mermaid is based of the movie that launched Disney’s “Second Golden Age of Animation.” What had once been the tram tour entrance became the grand entrance to The Magic of Disney Animation. With the new focus came a new name for the area—Animation Courtyard. 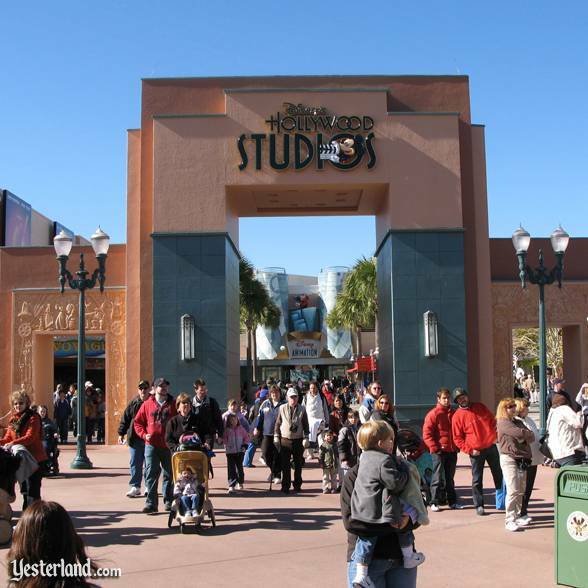 Surprisingly, when the name of the park changed to Disney’s Hollywood Studios at the beginning of 2008, the Imagineers did not use it as an opportunity to retheme the studio gate as an appropriate entrance to the Animation Courtyard. Instead, they simply replaced the old logo with the new logo.